Plantar fasciitis, or plantar fasciopathy is a term used to describe pain in the heel and/or the arch of the foot. The plantar fascia is a thick band of connective tissue on the bottom of the foot that sometimes becomes sensitive and irritated with normal foot movements like walking, running, and stretching. As surprising as it may seem, this condition doesn’t come with inflammation. It is rather an overuse condition that stems from tissue that isn’t as strong as it needs to be to support your daily activities. Plantar fasciitis is tricky to treat, but can often be managed by modifying painful activities and strengthening the foot and calves. Stretch your plantar fascia and your soleus, not just your calves! Nearly everybody with plantar fasciitis has tried stretching their calves for years with minimal to no pain relief. While calf mobility is important in managing plantar fasciitis, there are two other structures that can create dramatic changes in your heel pain. Soleus: This is a muscle that runs under and on the sides of your calves and is best stretched in a bent knee position. Plantar Fascia: This thick band of fibrous tissue is best stretched by pulling the big toe toward your shin. Newer research has suggested that plantar fasciitis can be treated similarly to tendonitis conditions by using strengthening to rearrange and strengthen the fibers of the plantar fascia. Strengthening while stretching can add an entirely new challenge to your exercises. There’s often a reason the foot and calf tissues were tight in the first place (weakness or overuse), and that needs to be addressed with strengthening. Strengthening can make your flexibility gains more permanent and reduce pain over the long term. Two of the best structures to strengthen in people with plantar fasciitis are the calves and the big toe. Check out this video on how to strengthen while you stretch your plantar fascia. Keep in mind that strengthening works best if you’re challenging yourself appropriately with a progressively harder program while keeping your pain at tolerable levels (3/10 or below). Reduce your pain levels with some footwear changes. Try some tape. Try some heel cups. Try a higher heel shoe. One or more of these might make all the difference in you day to day pain. For some people, adding tape support to your arch can be helpful in relieving pain if you’re going to be walking a long distance. Tape can help cue you to use your foot muscles so that there is less pulling through the fascia. Similarly, many people have had success using a gel heel cup to improve their comfort while walking or running. If neither of these work, you can try wearing a shoe that has a little bit of a higher heel to decrease the amount of force going through the plantar fascia and calves. While these are only temporary solutions, they can help you while you are making progress on longer term solutions such as strengthening and flexibility. 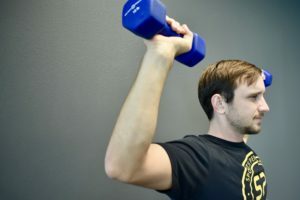 Keep in mind that strengthening works best if you’re challenging yourself appropriately with a progressively harder program while keeping your pain at tolerable levels. Improve your plantar fascia’s flexibility while you sleep: night splinting. If your foot arch is really tight, you might find some relief with a commercially available night splint. These are soft boots that pull the toes up while you sleep to reduce the morning stiffness and decrease your sensitivity to stretch while you’re walking or running. This apparatus keeps the offending tight structures stretched out at night so that you don’t have to start every morning from square one. Be serious about your tissue mobilization. Here at SP, we love treating plantar fasciitis because we can make a huge difference in your pain with our soft tissue mobilization (scraping) tools. Scraping the bottom of the foot is ticklish for some and uncomfortable for others, but often helps to reduce feelings of tightness and pulling through the arch of the foot. 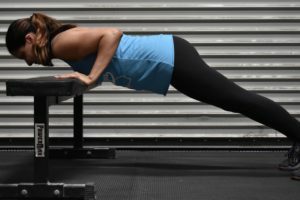 It’s similar to pressing the reset button on a computer and can decrease nerve sensitivity, allowing you a window to strengthen the feet with less pain!